Alain J. Picard is an award-winning artist, instructor, author and speaker. His acclaimed pastel and oil paintings have been exhibited throughout the US, Europe, China and the UK. Alain travels internationally as an art instructor, demonstrator, speaker and artistic advocate for the vulnerable. Alain’s work and writing have been featured on numerous occasions in such publications as The Artist's Magazine, The Pastel Journal, and Practique des Arts. 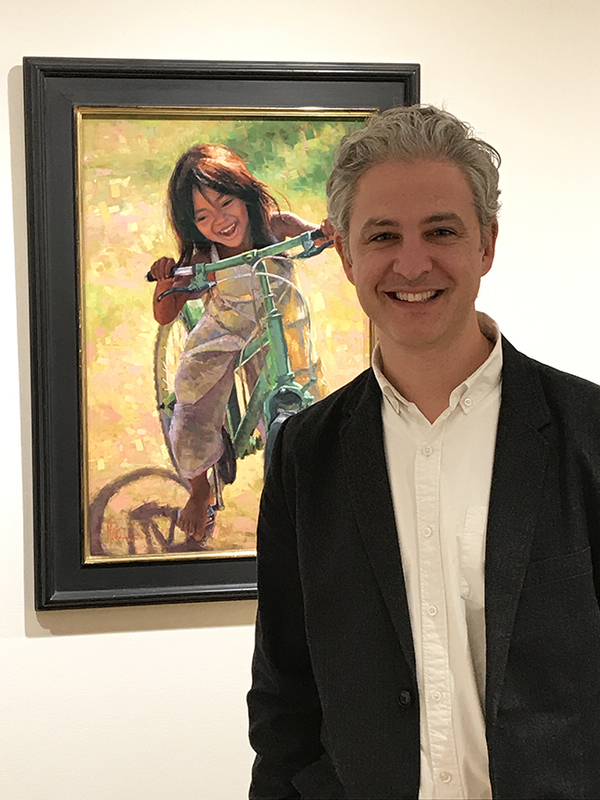 In an effort to share his passion for art, Alain has written three instructional books, including “Mastering Pastel” and “Beginning Drawing,” and stars in a growing collection of instructional art videos. Alain has lectured and demonstrated for The Metropolitan Museum of Art, the National Arts Club in New York City, Vose Galleries in Boston, MA, the IAPS Convention in Albuquerque, NM, and the Biennial International Pastel Art Exhibition at Ming Gallery in Suzhou, China. Alain has garnered top awards in esteemed exhibitions, including the Pastel Society of America, The American Artists Professional League, Hudson Valley Art Association, the Portrait Society of America, and the International Association of Pastel Societies (IAPS). He is a judge and juror of international exhibitions, and a sought-after portrait artist and landscape painter. He makes his home in Connecticut with his wife and two sons.